We have learned about how to stay healthy and have carried some interesting investigations in science. We wanted to find out if the tallest person in the class was able to jump the furthest. We had great fun measuring each other and seeing how far we could jump. We have also read lots of superhero stories in English and we planned and wrote our own superhero stories. Our stories are now on display on our wall in the classroom. They are all fantastic. We looked at the human skeleton and created our own skeleton pictures using art straws. As part of our RE work we have created our own stained glass window pictures. We then created a reflection area next to our classroom. We have been busy writing our own prayers for our prayer box. Our topic this term is Fabulously Famous. We are learning about famous people and events from the past. We have learnt about Guy Fawkes and created some fabulous bonfire pictures. We have also learnt about the Great Fire of London and have written a diary entry like Samuel Pepys. We have created some super textured Great Fire of London pictures. We are now learning all about Florence Nightingale. 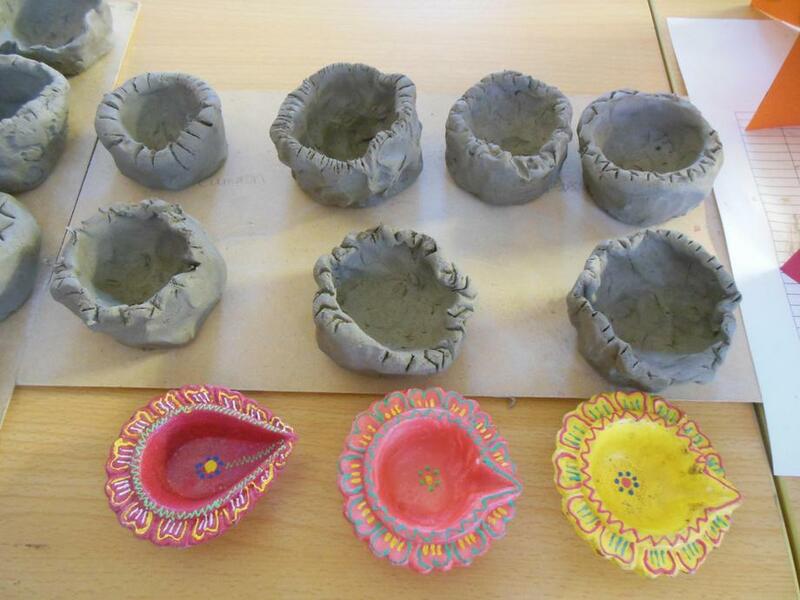 We had great fun finding out about the Hindu Festival Diwali. We learned about the story of Rama and Sita. 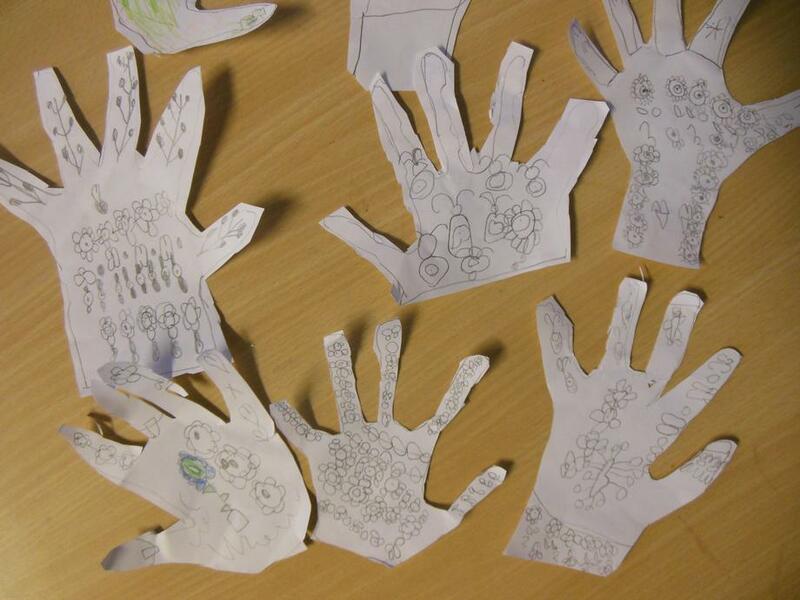 We made our own diva lamps and mehndi hands. 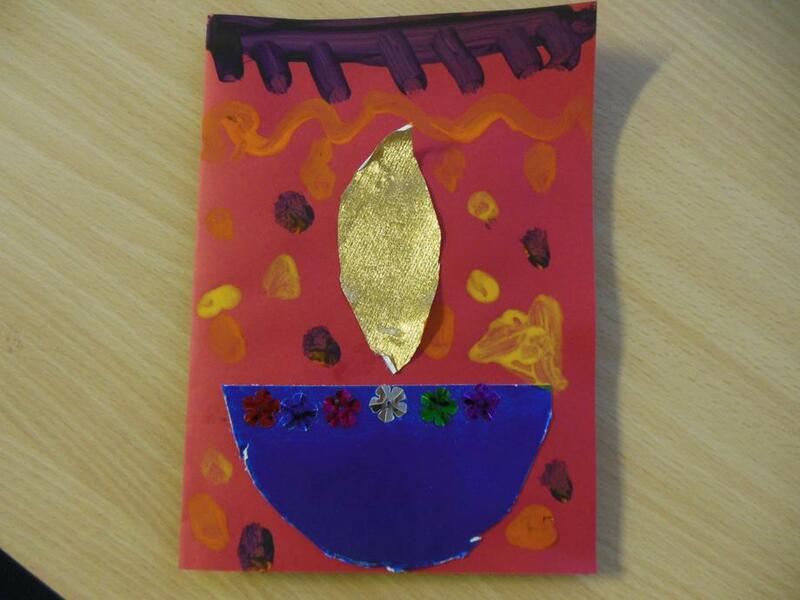 We also made our own Diwali cards. The children have had a lovely afternoon making melting snowmen biscuits. We are all getting very excited about Christmas.